Headed to Walgreens still this week? 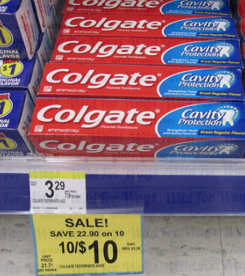 Check out this hot deal on Colgate toothpaste through July 16th. This is a great donation item! Still need to finalize your 4th of July plans? Not sure what to do? GRKids put together a huge list of events in the Grand Rapids area-parades, fireworks, and events this weekend. Go HERE to see the list. Go HERE to request a one year subscription to Field and Stream from Valuemags.com. No strings attached. You'll never receive a bill. 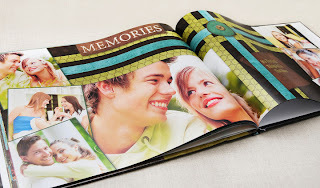 Today only (June 30, 2011), you can get a 8.5″ X 11″ classic landscape hardcover photo book completely free including shipping at Mixbook. Just create an 8.5" X 11" classic landscape hardcover book HERE and enter FREEBK in the coupon code box at checkout. You must select the 8.5″ X 11″ size and not add any extra pages to have a $0 total. The website is running slow. How I wish I had the time today to create one of these! Like Oscar Mayer on Facebook HERE and print out a $.75/1 Oscar Mayer "select" Hotdog coupon (you can print 2X). 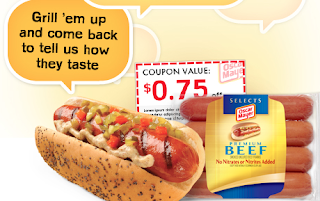 Oscar Mayer Hotdogs are $.99 at Meijer this week, so only $.24 after coupon if "selects" are included. That is a great stock up price! Now through July 4th purchase two items at Old Navy and get one FREE! The FREE item will be of equal or lesser value. Get more info HERE. 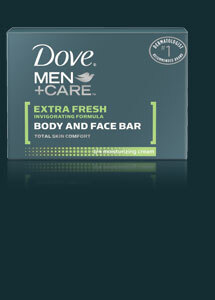 There is a great deal on Dove Men+Care bar soap at Walgreens this week. 18 bars of soap for FREE!!! FYI-I visited 2 Walgreens yesterday to do this deal, one was fully stocked and the other wiped out. It may be hit or miss, however, make sure and ask the manager if they have more stock in back. $.33 per bar! Still a great price. Need a quick and cheap lunch? Thursday, June 30th, 2011 from 11-3pm, many local Jimmy John locations are offering $1.00 8″ sub sandwiches. Normally $4.59 each! Here are the participating locations according to their blog HERE. Allendale, MI – 4814 Lake Michigan Dr.
Battle Creek, MI – 5568 Beckley Rd. Bay City, MI – 719 Washington Ave.
Caledonia, MI – 1625 Marketplace Drive. Davison, MI – 1133 S. State Rd. Fenton, MI – 3208 Silver Lake Rd. Flint, MI – 3292 S. Linden Rd. Grand Blanc, MI – 11528 S. Saginaw St.
Grand Rapids, MI – 3989 Cascade Rd. SE, 2121 Celebration Dr., 1233 Leonard St. NE, 5925 28th St. SE, 1533 Wealthy St. SE, 63 Monroe Center St. & 648 Monroe St.
Grandville, MI – 4365 Suite H. Canal Ave.
Holland, MI – 12719 Riley St.
Hudsonville, MI – 6490 28th Ave.
Ionia, MI – 3192 Commerce Ln. Midland, MI – 1916 S. Saginaw Rd. Mt. Pleasant, MI – 1901 S. Mission St. & 117 E. Broadway St.
Muskegon, MI – 3355 Henry St.
Saginaw, MI – 4342 Bay Rd. & 118 S. Michigan Ave.
Walker, MI – 4482 Lake Michigan Rd. 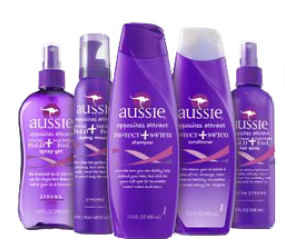 Wayland, MI – 1170 W. Superior St.
Go to the Aussie facebook page HERE and “like” them to request a coupon for a FREE Aussie product (up to $3.99!). Go to the Herbal Essence Facebook page HERE and “like” them, then click on the “Herbal Giveaway” tab (one of the last tabs – you will need to click “more”) to request a coupon for a FREE Herbal Essences product (up to $3.99!). 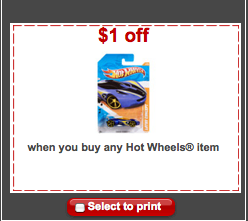 Currently, Target has a manufacturer’s coupon valid for $1/1 Any Hot Wheels Item. This means you should be able to snag a FREE Hot Wheels die-cast car as they’re priced around $1 at Target and other stores! Go HERE to print. Remember you can print 2 per computer. Coupon for FREE Pantene Shampoo or Conditioner. 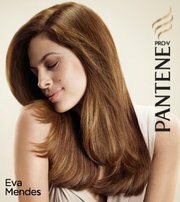 Pantene is giving away 100,000 coupons for a free shampoo or conditioner(up to $4.99). All you have to do is like Pantene HERE and then go to the "Pantene Coupon Giveaway" tab. Need new nail polish? Target has a nice little deal on Sally Hansen. 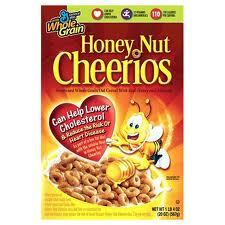 Go HERE to request a sample of Honey Nut Cheerios as well as coupons. Bounty will be giving away 10,000 high value $5/1 coupons today via Facebook. Like Bounty HERE and then wait for their status update of when the coupon is available. The coupon would make for very cheap or free paper towel. From their Facebook page: Fans, we heard you loud and clear and have some great news! We will be doing TWO 5,000 $5 coupon drops today. The first 5,000 will be given between 8-10am EST and the second 5,000 between 10am-1pm EST. That’s 10,000 $5 coupons! Remember, it’s first come, first serve on both instances and they will go quickly. 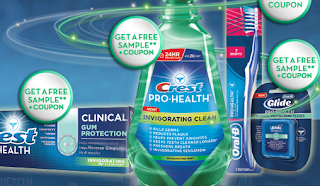 Go HERE to request FREE Crest Pro-Health Samples and coupons courtesy of Walmart. 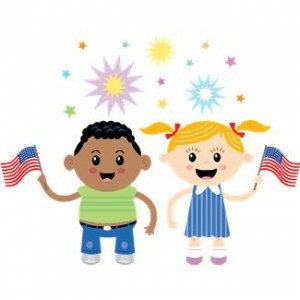 School Sparks is a great website for preschool and young children to help prepare them for school. 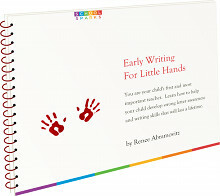 Right now they are offering a free download of the book: Early Writting for Little Hands. Download it HERE. Kids Bowl Free is back again and you can now sign up for the summer! Go HERE. Kids receive 2 FREE games of bowling per day. Several bowling allies in Michigan are participating in this program. Family Passes are also available for up to 4 adults-$24.95 and that includes 2 games per day, all summer long. 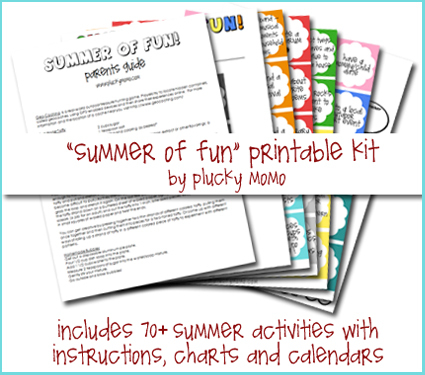 What a frugal way to do fun family activities this summer. 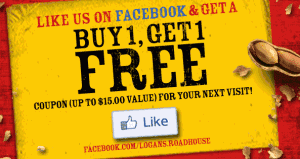 Like Logan's Roadhouse on Facebook HERE and receive a BOGO coupon toward an entree (up to $15). Go HERE where you can get a FREE sample of Dove Daily Treatment conditioner! Download the Summer of Fun kit HERE. Nestle can’t wait to celebrate the first day of summer with their fans! On June 21st, at 12pm ET, Nestle is giving 100,000 fans the chance to kick off their summer in style with a free Drumstick ice cream cone. Like Nestle drumstick on facebook and sign up HERE to receive the coupon in the mail. 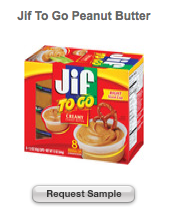 Target.com is offering a free sample of Jif to Go Peanut Butter. Go HERE to request yours. 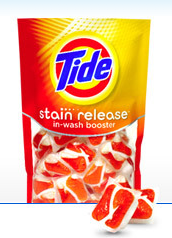 For 4 days only Tide is giving away 25,000 packages of Stain Release every day! Just watch a quick video HERE, answer a question and if you’re right, you’ll have a chance to receive a free sample. This promotion is only open to those who haven’t received a Tide Stain Release sample. Each video will be posted on Tide’s Facebook wall on the day of the giveaway. *I received my sample in the mail from a previous offer and was super impressed. Its a large bag of 10 full size Stain Release tablets. A great freebie! Buy $10 of KC Masterpiece, Glad, or Hidden Valley in a single transaction, receive a $3 custom coupon valid on your next order. 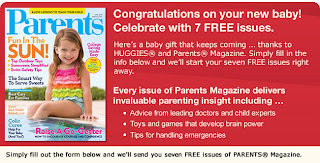 You can find a list of Walgreen sales&coupons HERE. Are you a Vocalpoint member? 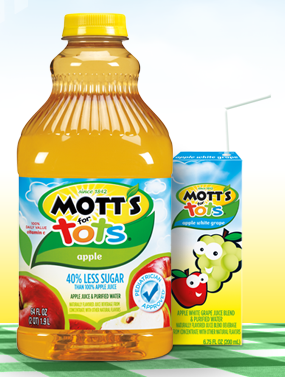 If so, sign up for a coupon for a FREE Motts For Tots. Put your zipcode in HERE to see if you qualify. Coupon is mailed in 4-6 weeks. Headed to Meijer this weekend for the 2 Day Sale? Saving Addiction has a complete list of sale and coupon matchups HERE. Purchase 5 Kraft items, get $5 off instantly. Limit 2 offers per transaction. Please drop off donated items at 99 W. 26th St Holland, Mondays – Thursdays, 9 a.m. to 4 p.m.
Sweeet! The $20 Groupon to Old Navy for $10 is back! Sign up for Groupon HERE and place your order! Limit 1 per person. Groupon purchase may take up to 48 hours to process. Valid on purchase of $20 or more until 7/30/2011 at Old Navy Stores only. Old Navy: $2 Tank Tops. Just a heads up! Old Navy will be having another One Day Wonder sale on Saturday June 25. Womens and girls tank tops for $2 each. Limit 5. I did this deal last year and these tanks are great for layering and come in a variety of solid colors. No coupons needed. Heading to Great Clips soon? While on their website today, I saw a nice little promotion. During the month of June they are giving away free Schick Quattro Razors. While supplies last. Go HERE to get all the details. It doesn't say you need to print any coupons, however, you may want to print out the page. Hurry! This won't last long. 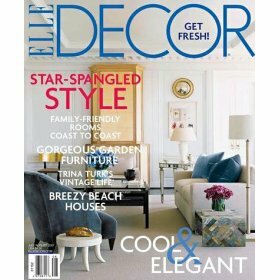 Go HERE to request a free subscription to Elle Decor. You will never receive a bill. 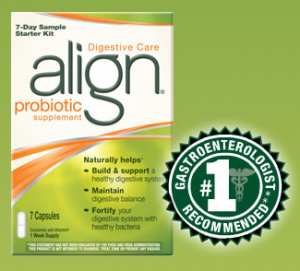 If you are a Costco member, go HERE to request a free 7 days supply of Align Probiotic. 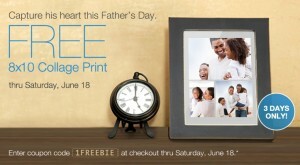 Get a Free 8X10 Collage Print from Walgreens now through 6/18/11. Go HERE. Enter coupon code 1FREEBIE at checkout. Choose in-store pickup to avoid shipping costs. Target has just changed and updated their coupon policy. Time to inform yourself of the changes and print it out for future reference. 1. BOGO coupons cannot be combined (i.e. you cannot use two BOGO coupons on two items and get both for free). Unless stated otherwise on the coupon, the use of one Buy One Get One Free coupon requires that two of the valid items are presented at checkout of which one item will be charged to the guest and the 2nd item will be discounted by its full retail price. 3. If a Target BOGO coupon is used, one additional manufacturer coupon maybe used on the first item.You cannot use a B1G1 Free Pantene Target Coupon,along with 2 manufacturer’s coupons against both items. You can only use 1. 4. If a Manufacturer BOGO coupon is used, one additional Target coupon may be used on the first item.So in other words if you have a B1G1 Old Spice Body Wash Manufacturer’s Coupon, you can no longer use two $1/1 Old Spice Body Wash Target Store Coupons along with it. you may only use 1 store coupon. 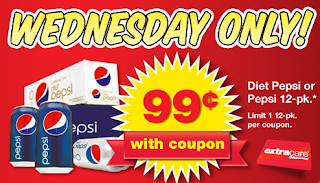 TODAY only, CVS is offering 12 packs of Pepsi or Diet Pepsi for just $.99. Scan your card at the magic coupon machine for the coupon. Limit 1 pack per person. 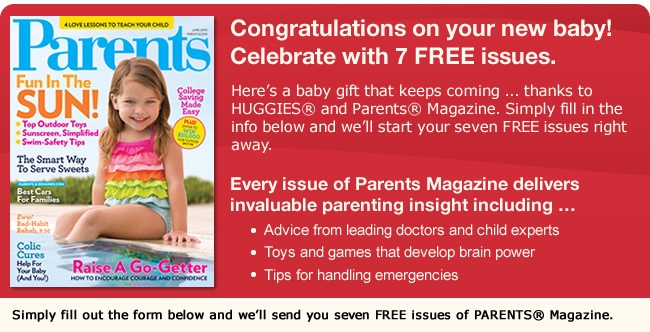 Go HERE to request a free 7 month subscription to Parents Magazine. Target released 60 great coupons yesterday including some high value coupons on apparel and houseware items. Go HERE to print yours! 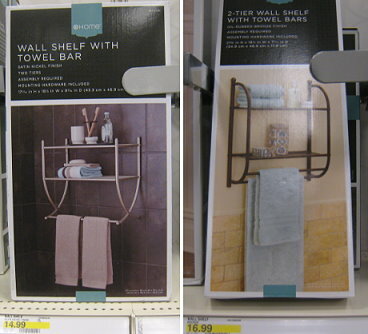 Make sure and keep your eyes peeled for the $10/1 Bathroom Furnishing item coupon as well as different women's apparel items. Combined with a sale or clearance, you could pick up FREE or cheap items. Here is a great activity to plan with your kiddos. 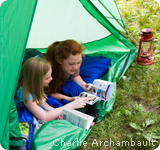 June 25 is the Great American Backyard Campout sponsered by the Wildlife Foundation. On June 25 thousands of people across the nation will gather in their backyards, neighborhoods, communities and parks to take part in a one-night event that will provide an experience for all generations to open the door and sleep out under the stars. Get all the information HERE. Headed to Biggby today? Don't forget your BOGO Grande/Super Specialty Beverage coupon good today only-June 13. Go HERE to print.